MP3 Download | FLAC Download | WAV Download · Download count: 30,397. Definitely worth checking out. Classic psytrance music without full-onic or darkpsy flavour. Well-produced and quite original at that. Should be received well by the community, I think; at least, was received well by me :). Congratulations with the release and good luck in the future! Wow, this is top quality stuff. And you are giving it away for free. I’m gonna be playing some of these tracks next time I DJ. Great stuff here. By far the best work I’ve heard from Cybernetika to date. A nice compilation of tracks here with high quality realistic soundscapes and smooth textures. Enjoyed the grooves of ‘ outer reach ‘ and the vibe of ‘ finale ‘ most. This is great, intelligence with a biting rhythm – new cosmic journey music with a huge dose of peril involved. the journey within and without merges here, in the same recent mold as Jikkenteki. We’ve come a long way from Juno Reactor, though some of this reminds me of High Energy Protons, especially Praeforma. Love the whole Apollo 13 dialogue initiated on the first track and returned to in the “Finale” – perhaps about as far out as you can get from mission control, and still make it back for supper, changed. Exhilarating. 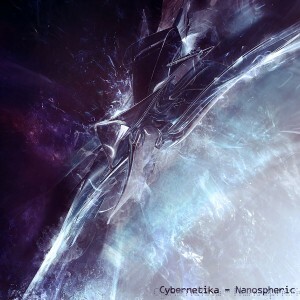 The applause on that last track is for Cybernetika. The Outer Reach is a masterpiece. Excellent work! The best album that I heard in weeks! Good luck to Lars and his music. Xenomorph’s Demagoguery of the Obscurants. is the best !!!!!!!!!!! !from greece!!!!!!!!!!!!!!!!!!!!! qeesii donn kosova o njerzz . Good Stuff :) Thanks!! Happy New Year!!!! I loved the science fiction feel of this release, thank you for sharing!!!! Yes! Another masterpiece from the master himself. I Have Yet To Get This On Disc. Great To See Your Still Producing New Stuff. This album is amazing. Super atmospheric. I instantly became a fan of Cybernetika after “Neural Netword Expansion”, which is also amazing (and on this site. Cheers from Los Angeles!!! Good luck Cybernetika!!! You have a huge fan here!! Still being a big fan of The Outer Reach! Awesome album these songs are top!!! so wocked tracks. It reminds me old good tunes from Astral Projection, Kox Box or X Drem. Definitely the trance sound I like. I want you to come in France!!! Nice and bangin’ but atmospheric at the same time. My favorite d/l from here so far. Wow is the best !!!!!!!! this is smart music, marvellous and picturesque. definitely one of the best psytrance album i’ve heard so far. keep it going! Excellent album with “The Outer Reach” as an outstanding killer track. Too bad he doesn’t seem to peform live. First of all, thank you for sharing such creative and pleasingly great music! Psytrance 4ever! Great stuff…eagerly awaiting a new release! Been an FL Studio user myself for YEARS, to those who doubt its ability to put out mindblowing music, this is proof! this guy comes from the future.for sure! Wow, I think Plasmoid just became my favorite song ever. Holy sh**! Can you upload rest of tracks?